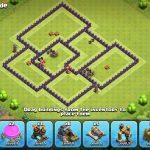 Hello guys, today I am going to introduce to you the new Town Hall 7 Hybrid Base which was designed by Linun! 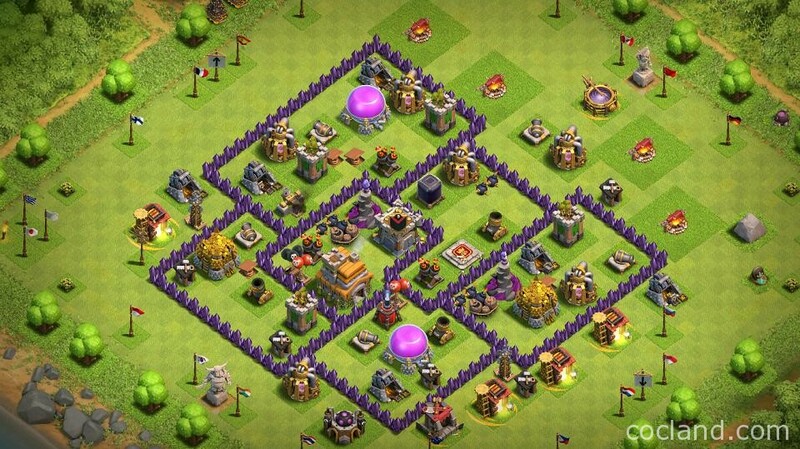 Linun has been playing a permanent Town Hall 7 account for a year and making lots of bases for it. So yes, I strongly believe that this base works very well. This base is built to protect everything equally. There are some functions in this base funneling troops within walls from expected path to the well placed traps. Those functions work extremely well in lots of situations. The well placed Clan Castle literally can’t be triggered unless the attacker has a well planned attacking strategy (Hog Riders jumping in the certain compartment or small group of Giants moving into the core). 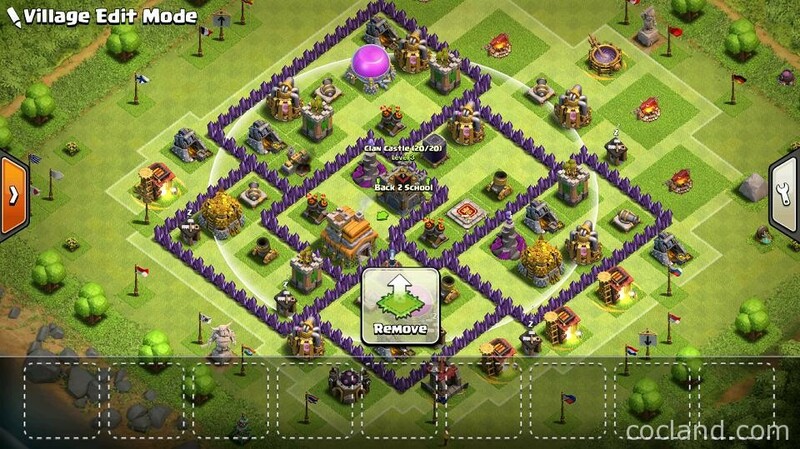 This make the unlurable Clan Castle at Town Hall 7 deadly because of the absence of Poison Spell here. It is extremely hard, or nearly impossible, for the attackers to seize all of the Storages here. Each storage is placed in its own compartment and protected by lots of buildings nearby. The outside Hidden Teslas can easily catch support troops which are not being protected by tankers. 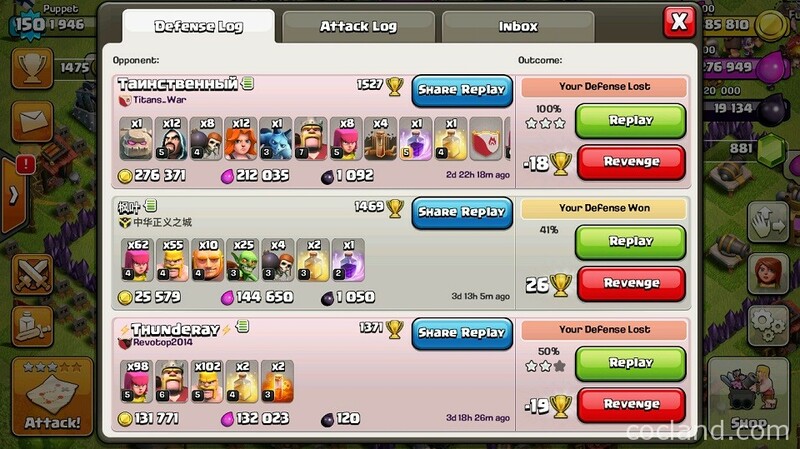 These Teslas can also easily mess up a well funneled attack. 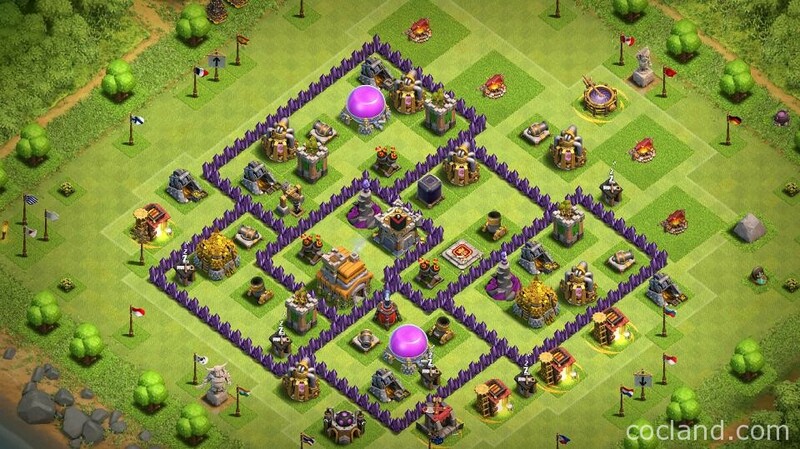 Asymmetrical Base Design will force your attacker to observe the entire base in stead of a fourth or a half. 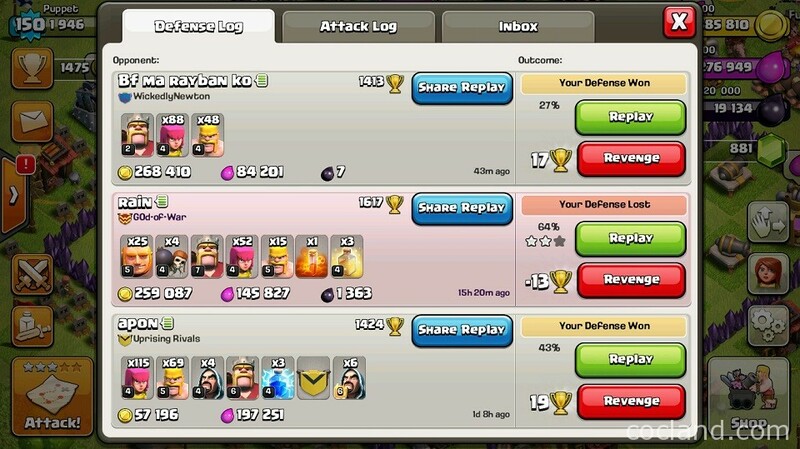 Also, attackers will waste lots of time for finding the best side to attack. 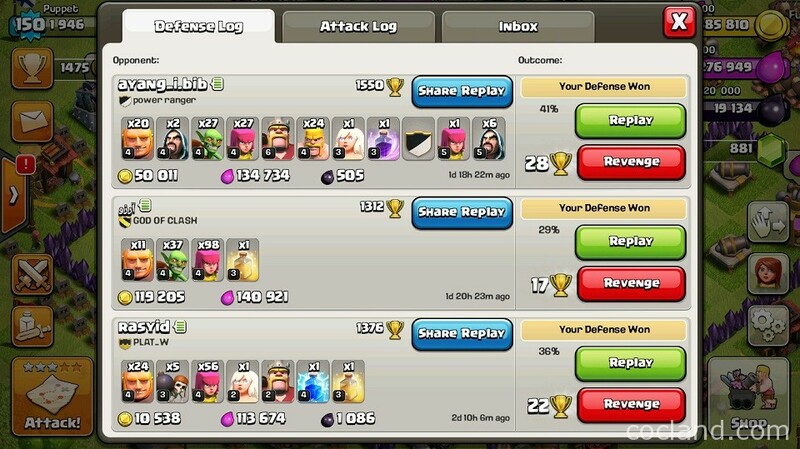 This is always a must for every Town Hall 7 bases since Dragon Attack is definitely the strongest here. Seems like nearly all Dragon attacks at Town Hall 7 start behind the Sweeper, With that being said, Dragon users will need to deal with the Storages, Town Hall, traps and Barbarian King first before touching the Air Defenses. Wall Beakers never can open more than 1 compartment at a time! If you don’t know, this combo can easily eliminate Hog Riders level 2 at Town Hall 7. This can scare attackers and force them to attack with caution, or either skip, as their troops can be blown up before the raid even starts. Also, you can easily change up trap locations. 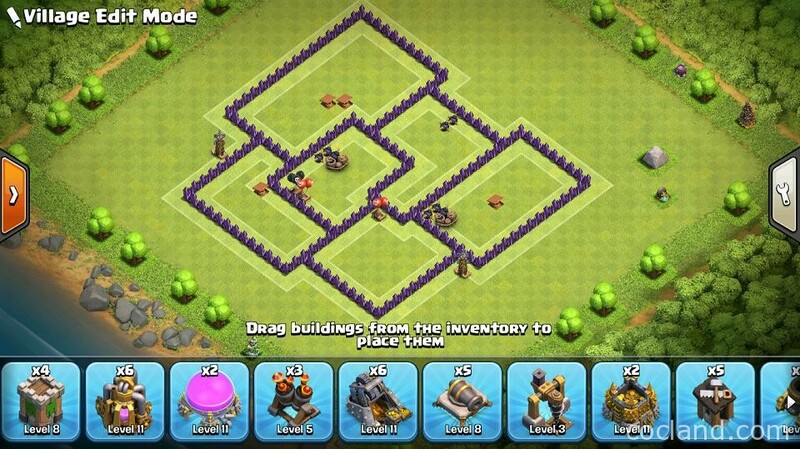 What do you think about this base guys? Hopefully you will like it!